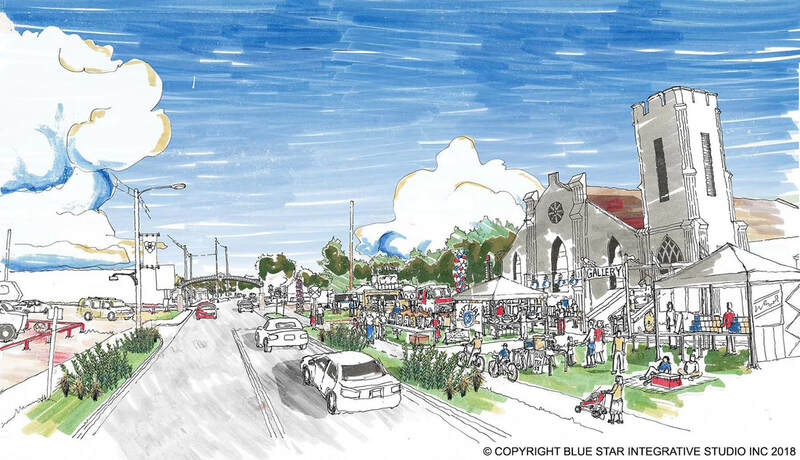 Through the National Endowment for the Arts funding, Blue Star was selected to lead a master planning project for the South 9th Avenue in Durant, OK. The People in Durant enjoy all types of activities in their community. Many noted that connecting S9A with the Main St. events would help expand the success and vitality of the community. 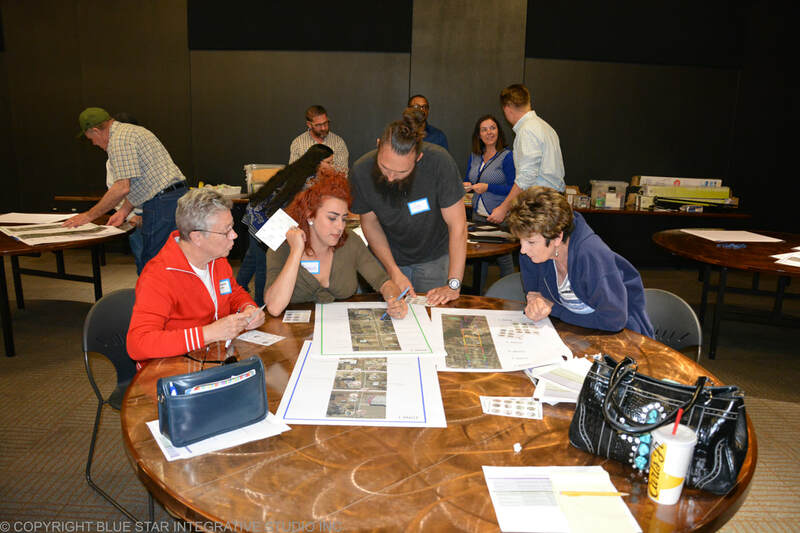 ​Community engagement sessions resulted in common goals including creating a vibrant, active corridor with music, sidewalks and trails, art, and festivals. The design team worked diligently to listen to the community and document their desires and wishes. Through listening to the community and reflecting on their dreams, a conceptual master plan was developed. This plan solved all of the various site constraints and offered a functional balance between the built environment, open spaces as well as the preservation of natural areas and watersheds. As a team, we remembered that any solution needed to be capable of phasing, build of off existing infrastructure and allow for the maximum quality in terms of people, process and place. This plan had a few strong ideas that worked well, including the zoning of three major activity areas and the creation of common spaces linked by system of trails throughout the development.